Most of us enjoy a good distillery tour, but some hardened whisky enthusiasts hanker after more than just a casual stroll through the production process. Thankfully, a growing number of distilleries around the UK are gearing up to cater for their needs, as Felipe Schrieberg discovers. Most whisky lovers these days are well aware of what a distillery tour experience might entail. You’ll enjoy a stroll through the facility, find out about the whisky production process and what makes that particular distillery’s method stand out, and maybe try a dram or few at the end. Sometimes, for a little more money, this may include a visit to the distillery warehouse, where visitors can sample rare single cask whiskies. However, a few distilleries are pioneering new kinds of whisky experiences for eagerly geeky whisky tourists – the chance to get involved in the distillation process itself, and to get mired in the nitty-gritty of production. These distilleries, located in England and Scotland, each have their own twist on this interactive whisky distillation experience. Some are new microdistilleries, others are established and respected operations that still produce whisky in a similar way to 100 years ago. Though these interactive tours/classes don’t come cheap, they represent the best opportunity available for tourists to have an intimate and dynamic lesson covering the stillman’s and distillery manager’s duties. So, for the geek who can’t ask enough questions during the typical distillery tour, or for someone who wants to do more than just stand around different parts of a distillery, this might be for you. Or maybe it could be the perfect present for your favourite whisky lover? A new microdistillery located just northeast of the Cairngorms National Park in Scotland, Ballindalloch is located in an old farmhouse on the Ballindalloch Estate. It even grows its own barley for whisky production – a rare sight these days. Starting at 8am and finishing at 4pm, each Art of Whisky Making session includes no more than two guests. The distillery makes it clear that this is no conventional tour, but a practical, one-on-one immersion with the Ballindalloch distillation team into the whisky-making process, covering milling to warehousing and everything inbetween. You also get your own Art of Whisky Making polo shirt, and lunch too. A new distillery based in London, Bimber makes vodka and gin, and is now producing its own single malt whisky. The first release is due for June 2019, and Bimber’s whisky is currently ageing in four different cask types: ex-Bourbon, ex-Pedro Ximénez, ex-Port and virgin American oak. For The Distiller’s Experience, Bimber promises that ‘you will experience the whole whisky-making journey: from malted barley to new make spirit, via mashing, fermenting and distilling your own. You will also learn about the processes of maturation, including cask filling, ageing and instrumentation’. Your day at the distillery has you helping with mashing to extracting wort for distillation, producing a batch of low wines from Bimber’s 1,000-litre wash still, and spirit from its 600-litre spirit still, among other aspects of production. A maximum of five people are permitted to take part. Included in the price is a 70cl bottle of Bimber spirit of your choice, or 5cl bottles of the full range of Bimber spirits to take home. The second of the two English distilleries on this list offering immersive distillation experiences, Dartmoor has a unique structure to its production process. 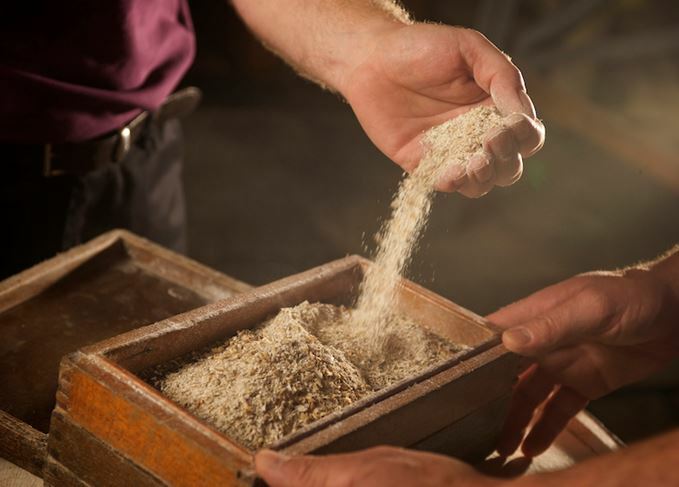 Barley production, malting and brewing are all covered by local partners, while the distillery itself is located in the old Bovey Tracey Town Hall. The Spirit Run Experience lasts from 10am to 2.30pm. Accompanied by distillery founders Simon Crow and Greg Millar, you’ll get the chance to talk to them about Dartmoor’s production methods, and take part in cutting the heads and tails of the spirit run before being allowed to taste the resulting new make spirit as it runs off the still. Dates for this experience are limited, with only three available in the first half of 2019 for a maximum of 12 people per session. Lunch and a commemorative certificate and T-shirt are included in the price. The distillery also offers a package deal with the nearby Edgemoor Hotel for those wanting to combine their experience with a weekend stay. Lasting from 9am to 3pm, Glenturret distillery’s Stillman Experience offers a chance to not only witness and take part in the full whisky production process, but also to blend your own whisky. The morning is spent with Glenturret’s head stillman as you go through the full production process, from milling grain to working with casks in the distillery warehouse. After lunch (included in the price), you get to take part in a workshop which teaches you the black art of blending. Most importantly, you get to make your own whisky and take it home with you. In addition to your blended whisky creation, you also get a Glencairn glass, a bottle of Glenturret’s ‘Bottle Your Own’ single cask whisky, and a personalised polo shirt, jacket or boiler suit (your choice), delivered to you afterwards. The most intense (and expensive) of all the experiences on this list, the Springbank Whisky School takes things a step further. Over a period of five days in the summer, the distillery promises that participants will get to take part in each element of the whisky-making process, in one of the only distilleries that still undertakes every whisky production step on-site. You’ll be working on the malting floor, distilling new make spirit, filling casks and bottling Springbank whisky. A cynic might suggest that you’re paying to be a distillery employee, but everyone who loves a good dram can recognise that this is possibly the best educational experience in whisky making – outside having a professional career in the industry. There’s even an exam you have to take at the end. On top of a Springbank certificate, you walk away with a jacket, T-shirt and bottle of Springbank whisky. Accommodation is provided in the local area, as well as lunch every day. Sounds pretty good? There’s just one problem. All places are already taken for 2019, and 2020 is looking full too, with 190 people on the waiting list for only 48 spots. Nonetheless, the fact that there is so much demand for an educational immersion into whisky production could provide a great opportunity for more distilleries as whisky tourism numbers keep rising. It reveals a true hunger from consumers to understand where whisky comes from, and how it’s made. There were almost 2m visits to whisky distilleries last year, and spending topped £60m. If a distillery visitor centre is being upgraded, so should the staff training, says Dave Broom.